This table set is designed to sit 6 to 8 people depending if you choose counter chairs or benches. Made from recycled poly lumber with a 20 year warranty and available in all poly lumber colors. 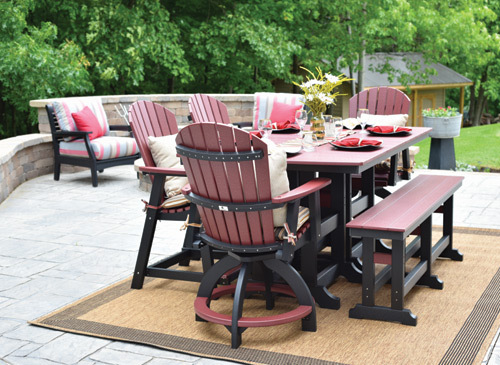 This table set is designed to set it and leave it, no Winter storage is needed and just wash it off in the Spring.